The grey hung over the sky like drapes about to fall onto stage. The calm waters stir with the increasing billowing of the wind. In the fading light, the limestone cliffs amaze and awe everyone on board. 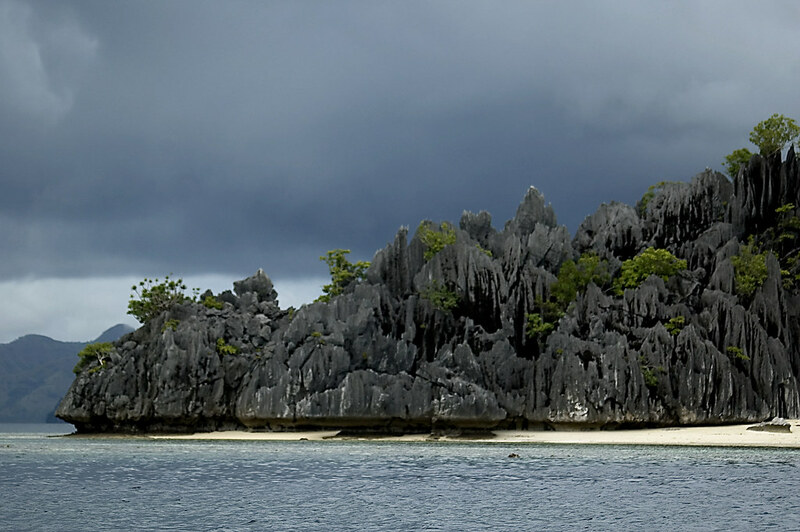 Even with a stormy countenance, Coron assumes a beautiful, if wild, face. thanks dodong. dalaw ka uli! One of my favorite pictures of yours!